Podcasting Tools – Ultimate Wealth, Inc. Creating your own podcast is both fun and can also be very profitable. To get started, you’re going to want to set up your home studio. On this page, we’ll talk about the basic gear you’ll need – all of which is available on Amazon.com and won’t cost you a small fortune! At the heart of any podcast or home studio setup is a mixer. This model is a sub-$100 model that offers both analog and digital connections to your computer, plus also features an AUX path for using this with your Skype or other online video conferencing system when you must create a “Mix Minus” to avoid sending the other person their own audio back to them. There are a number of ways to hook up your gear, and this mixer is both flexible and compact. I’ve got 3 of them in my studios and they work as promised. 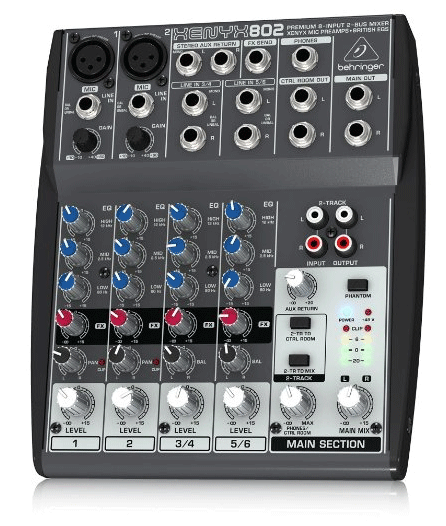 With this mixer, you can connect 2 XLR (Professional) microphones and two audio devices. One will be the audio out of your computer, and the other might be the audio coming from your smartphone, tablet, MP3 player or even another computer. If you pay attention to other people who do any sort of podcasting, you'll notice that many of them use this mic. 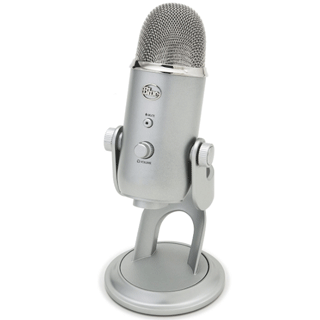 It's the Blue Yeti, a USB mic that sounds like a high-end studio mic, but at a price that won't leave you in tears. If you're doing an audio podcast, then audio quality is critically important. If you're doing video podcasting or webcasts, then quality audio is actually more important than quality video. Viewers will tolerate bad video, but give them bad audio, and they will tune out. This mic can be used without a mixer, as it plugs directly into your computer's USB port. That also means that the audio is digital and won't be affected by the noise generated by your computer's CPU, as all analog mics that are plugged directly into a computer are. Remember to plug your headset directly into this mic's headphone port otherwise you will not be able to hear your computer's audio! How good should you sound? The answer is simple: as good as you possibly can! Since you have no way of knowing what type or quality of device your audience members will use to listen to you, the rule of thumb is to always start with the highest quality audio possible. This is professional grade mic and as such will give you radio-station quality results. 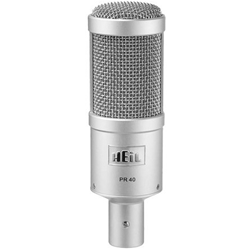 The Heil mics are a popular choice for podcasters and webcasters because they deliver, they are compact, and you can even travel with them. The wide diaphragm creates amazing proximity making it sound as if you're right there alongside your listeners. This mic performs best when used with a shock mount and boom stand. (Included in this package). 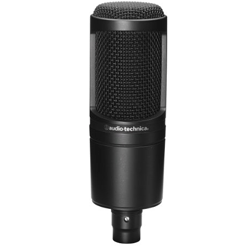 This Audio-Technica mic is a little less expensive than the Heil PR40 shown above, and it's also an excellent choice for many podcasters and webcasters alike. This is a condenser mic, which means you will need to turn on the "Phantom Power" setting on your mixer to use this mic. Don't worry, the Behringer mixer above has this option built-in. This mic also performs best when used with a shock mount and boom stand and when used in a quiet environment. Your podcasts will sound like they were recorded in a professional studio when you use this mic! When you watch a webcast, you'll notice that the host will always have some sort of headset. The old school approach is to use big, over the ear, headphones, but truthfully, the 70's are long gone! 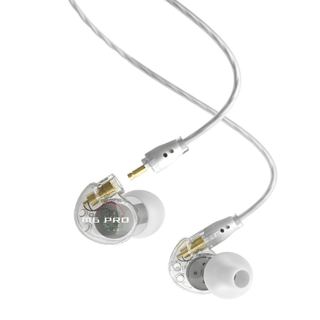 What you want is something you can wear that won't show, and these in-ear monitors get the job done. The trick is to put one into your ear, and then flip the cables over your back. When you do, they are barely noticeable and you look much more "pro" in your videos. Oh, you can use the ear buds that came with your cell phone, but you can't hide them like you can these. Plus these sound much better! When you're using Skype, Zoom, YouTube Live, or just recording video on your computer, a great camera will go a very long way. This is the update to the C920, which has been the leading choice for web video for years. 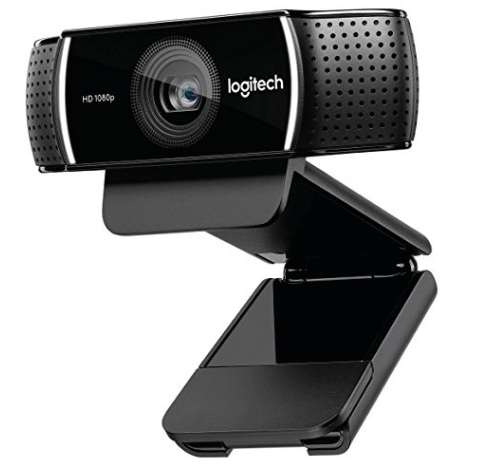 This is the top choice for an HD 1080p video camera that sits on top of your monitor or laptop. It can also be mounted to a tripod, giving it even more flexibility. The color rendition, sharpness, and ease of use of this camera make it a winner for under $80! For a simple, affordable light set up that won't break the budget and that won't take up a lot of space, this is a great solution. 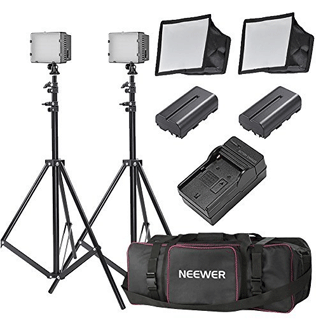 This kit includes 2 LED light fixtures with mini soft boxes, which is all you need to soften the light to make you look great on camera. 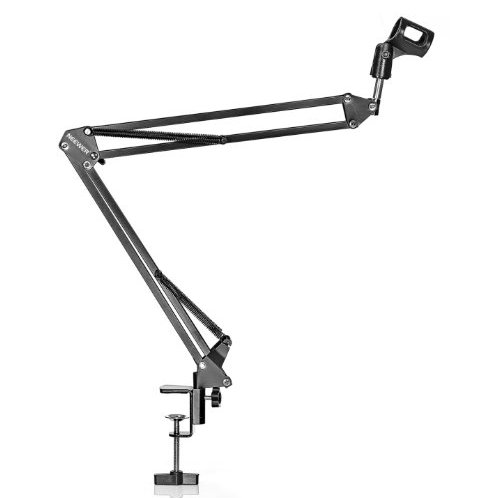 It also comes with 2 light stands so that you can position your lights exactly where you need them. In my setup, I use two LED lights that are mounted on stands just under a foot higher than me and tilted slightly down to face me directly. I also only have them on about 25% brightness as you'll find that webcams are very sensitive and don't require a lot of light, they just need good, even light. This kit is also portable and can run on batteries in case you get the urge to do some video outside of your office/studio. If you're going to use a camera, you ought to have some lights to make your absolute best! Yes, you can spend thousands of dollars on professional lights, but you don't really have to. I found these little gems after hours and hours of research and bought two for my podcast set-up. They are perfect! And they can be dimmed if you find them to be too bright for your setup (they are perfect without dimming in my setup). 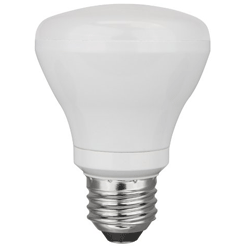 The light is very soft, so you won't need to diffuse it and it's very even too. These lights are also putting out daylight balanced light at 5000K, which makes them the perfect choice for video. I've got two of them suspended above my workstation. The lights are pointed at me from above, just as you would expect to see if you were outside and the sun was shining on your face. You can pick up a couple of cheap light fixtures with clamps on them so you can position your lights any way you'd like. You simply can't have enough XLR cables! 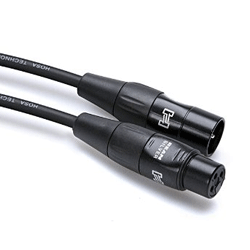 You'll need at least one of these to connect your microphone to your mixer (2 are needed if you are going to use 2 microphones). 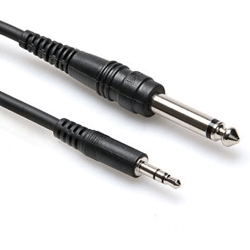 This is a 3 foot cable, but you can get much longer XLR cables if your mixer is located farther away from your mic. Also, many boom mic stands come with an XLR cable already inserted into the boom arm. As an aside, it's never a bad idea to have an extra cable handy in case one of them get's cut or goes bad. They are cheap enough to have several on hand. It's like cheap insurance! Long recording sessions mean that you'll want to have the freedom to move around and your mic should be able to follow you and always be at just the right distance and height. To accomplish this, you use a boom mic stand like this one. When you mount your microphone using a shock mount, you can literally move the boom stand around without any noise being picked up by the mic. I could not image doing any recording or broadcasting without a boom stand! It was one of the first things I bought when I built my first home studio (back then you could not get these for under $100!). They are a lot cheaper today. 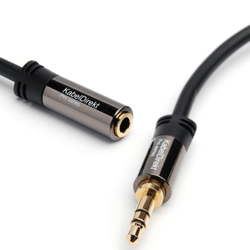 This is an odd-ball cable, but it's worth its weight in gold for us podcasters! This is used to connect your mixer's AUX Out to your computer's Line In. What?? Your mixer has a MONO output for the AUX channel and your computer requires a STEREO 3.5mm input. This is the special little cable that solves this issue. This is for your Mix-Minus when you are using Skype or Google Hangouts and want to use your mixer. Get two, they are cheap and if one goes bad, you'll have a spare handy because you know if a cable will fail, it will fail at the very moment you are about to the the "Go Live" button! The magic in a podcast, webcast, or live broadcast is the ability to play sound clips in real time! 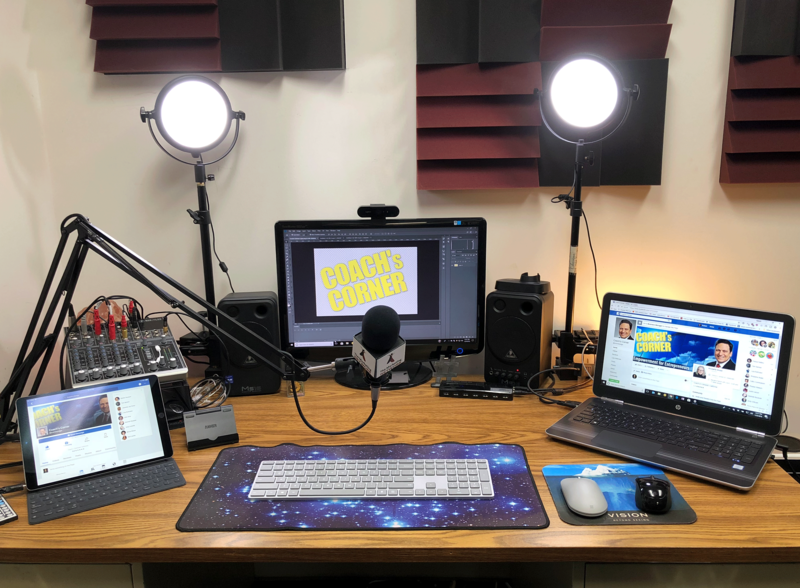 To do this, you use any audio device you happen to have handy that will play your podcast intro, sound effects, sound bites, etc. Personally, I use my iPad and app called "SoundBoard" and it works great! I have hundreds of sound clips, sound effects, intros, music, bumpers, commercials, interviews, and other sound bites at my fingertips that I may use during a podcast. 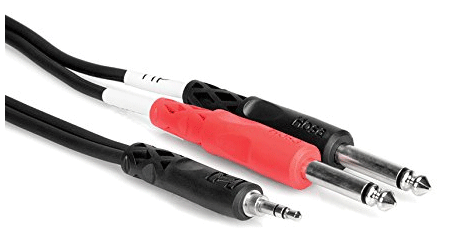 This is the cable you need to connect your audio device (3.5mm) to your mixer's Left and Right (1/4") inputs. You will need 2 of these cables. The second one is used to bring your computer's audio out into the mixer. You'll plug the 3.5mm plug into the computer's Speaker output and the Left and Right 1/4" plugs go into the mixer. 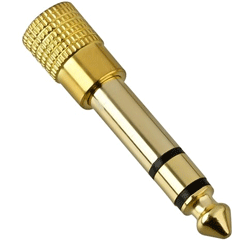 This little adapter is what you'll use to plug in your 3.5mm ear buds to your mixer. The 1/4" plug goes into the PHONES port on the mixer, and on the back of this adapter, you'll be able to plug in your ear buds or headphones that often use a 3.5mm plug. You may already have one of these as they are often bundled with headphones, but rarely with earbuds. Again, a good idea to have a couple on hand in case you need one. This little cable helps you extend your headphone or earbud cables so you don't have to be right on top of your mixer when you're wearing them. It's a tiny cable that ends up making a really big difference when you're working. After all, a podcaster who is comfortable will always produce better quality work than somebody who is a little bothered by a cable that's too short! I found this, bought it, and absolutely love it! What is you ask? It's the perfect stand for your Behringer mixer (the one mentioned above). It fits perfectly on the top of this stand and is angled just slightly to make it easy to see the knobs on your mixer. 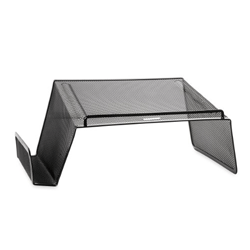 Plus, there is room underneath this stand for whatever you want to store there. In my case, I keep my headphones and earbuds there, along with cables I'm not using at the moment. As an added bonus, you can place papers or even a book on the left hand side too! I may just order another one of these for my other mixer.. Your comments are appreciated! If you have an need for something that is not on this list, just ask! I'm sure I know of great option for you!